Dust off your UBC 29 jersey, hockey fans, because the U Sports All-Stars are going up against the Canadian World Junior team next week. The match is in preparation for Team Canada's 2019 IIHF World Junior Hockey Championship run at the end of December — and UBC has now got some skin in the game. 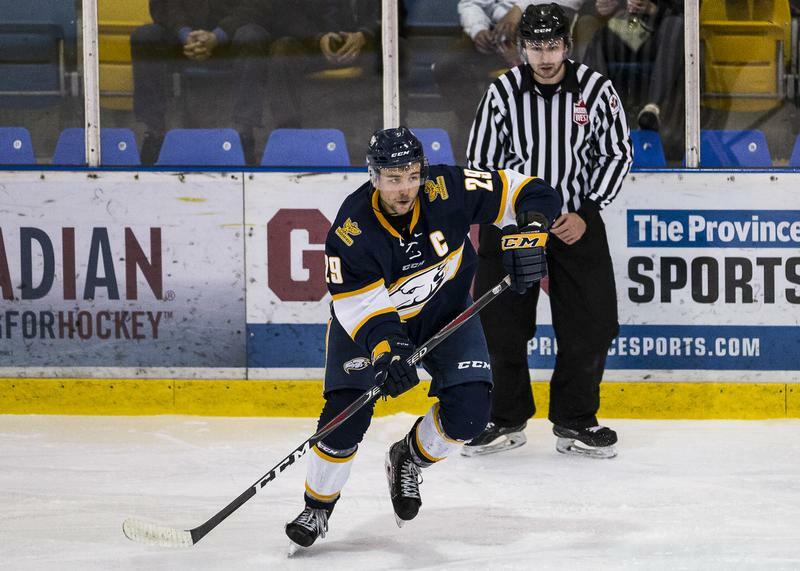 Jerret Smith is the captain of the UBC’s men’s hockey team. Beyond being a killer defenceman, he’s also been known to work a few miracles once in a while. One such miracle came about last week, after the the ’Birds let three Lethbridge goals slip by with just half of the third period left to go. Smith scored four goals in 15 minutes (though admittedly through a bit of overtime) to push UBC ahead for the win. While that game alone would’ve turned some heads, Smith has been playing a fantastic season so far for the T-Birds, with two other goals and four assists going into the holiday break. Those numbers are even more impressive considering that Smith is a defenceman. To give some context, the San Jose Sharks’s Erik Karlsson, considered one of the best defenceman in the world, has racked up 16 points in the National Hockey League thus far — Smith has 10 here in Canada West. Smith is joining the roster just as the U Sports Men’s All-Stars are but a week away from their three-game series against the Canadian Junior National Team. The pressure is on for the U Sports roster — made up of Canada’s best university players from across the country — to beat the Juniors a second time. Last year, the U Sports team swept Canada's best under-20s in two straight games — 3 - 0 the first night and 4 - 3 the second. Smith and the other new recruits have some big skates to fill. Make sure to catch Smith and the rest of the All-Stars at 6 p.m. on December 12, 6 p.m. on December 13 and 2 p.m. on December 14 at Victoria’s Q Centre.